There are more than thousands of cooking recipes fish. Some of them begin with the words: "clean and separate the fillet". So at this stage your desire to cook the fish is not lost, learn how to produce its primary processing. a fish scaler to remove scales. Wash and Eviscerate the fresh fish, removing all entrails through the longitudinal incision on the abdomen. Using a knife or fish scalers Scoblete the fish from tail to head, scraping the scales. Rinse adherent scales and slime. You must now separate the meat from the spine. First make a deep cut parallel to the gills, separating the meat from the head. But parasite the meat through, but only to the vertebral bones. Then make a cut along the ridge. On the back of the line of the cut will fin that should be around with a knife, followed by cutting, continue to clear along the back. Try to keep the blade resembled as close as possible at the spine. The more you back away from the spine, the more meat on the bones will remain and the less will go to fillet. Make a neat cut to the tail. Fold the fillet back and hold his hand, slide the knife blade along the edge of the meat and bones. This way you will cut the meat from the ribs of the fish. Out fins remove immediately. Before you fish, cut smoothly along, but in one half were all the bones, skin, head and tail on the second fillet and the skin. Flip mate fish with bones meat side up and already known method, separate the remaining ridge of bone. You will need exactly the same amount of effort to separate the meat from the spine. It remains only to cut off the head and dorsal fin. Now you have two pieces of fillet with skin and whole fish skeleton. Remove the small bones - they are located strictly along the fillet, they can clearly feel with your finger. Remove their hands, podawa with a knife, or regular tweezers. Separate the meat fillet from the skin. Put the fish on the plank skin-side down with the tail slightly pry the meat from the skin, and hold his hand, pulling at an angle, move the blade of a knife from tail to head. Keep the blade parallel to the Board. If you tilt, it will remain on the skin meat. A good effect is achieved by means of a flexible blade. 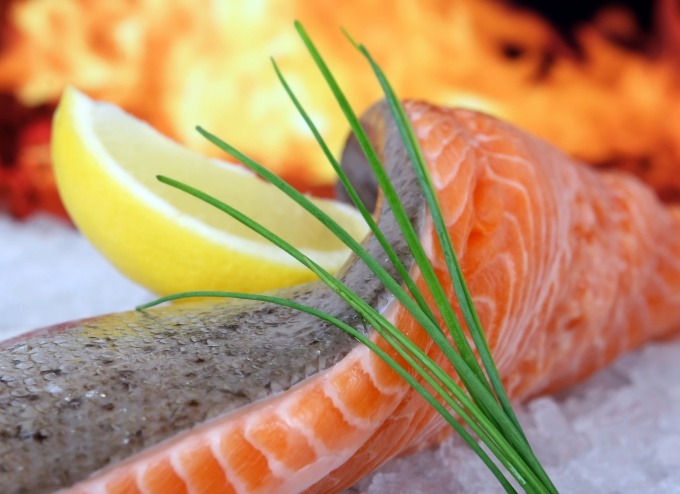 Prepared fillet of fish can be salted, fried, steam, bake or boil with no fear that will fall of the bone.